Located in a wide, sheltered bay on the northern shore of the Seto Inland Sea roughly midway between the large port of Onomichi and the city of Hiroshima, Takehara was a leading maker of salt and sake during the Edo (1603-1868) and Meiji eras (1868-1912). The history and wealth of the town's merchants during this time is reflected in a unique collection of eclectic and imposing warehouse-residences, combining opulent homes and gardens with businesses. Starting over fifty years ago, Takehara's merchants began preserving their architectural treasures, and today they house an inviting array of restaurants, cafes, and food shops and provide the backdrop for a year-round calendar of art events, concerts, and seasonal festivals. The biggest event each year is the Shoukei no Michi candle festival during the last weekend in October when the historic district is illuminated by bamboo candles for two nights. Takehara is an ancient town. Its long history as a market town for the area is due to its strategic location. But it was in the early 1600s that it rose to prominence when it became a large-scale manufacturer of salt. A national market for food had developed in Japan as a result of the unification of the country under the Tokugawa shogunate (1603-1868). This, in turn, led to the rise of a food industry that was further fueled by the country's rapidly growing population and the emergence of a new urban class dependent on prepared foods. At the time, the Seto Inland Sea was the center of Japanese salt-making, but these were mostly small-scale moshio seaweed and labor-intensive agehama enden (raise to the beach) style salt makers. Takehara's merchants took the new, more efficient irihama enden (flood the beach) method of making salt developed in the nearby town of Ako and applied it to its own wide, shallow bay, which experiences the greatest difference between high and low tides in the Seto Inland Sea. Adding reclaimed land to the salt fields and digging a canal to the town center in 1650 to support the processing and trading of salt, Takehara soon became a salt-making center during the Edo period. The town's salt was shipped east to Osaka and Tokyo and west to the provinces located along the Sea of Japan up to Hokkaido. A view of the salt fields fronting what is now Takehara's historic district. At high tide, the salt fields were flooded naturally and, as the tide receded and the seawater evaporated, the salt was scooped into mounds. Salt was made like this at the town until 1960. 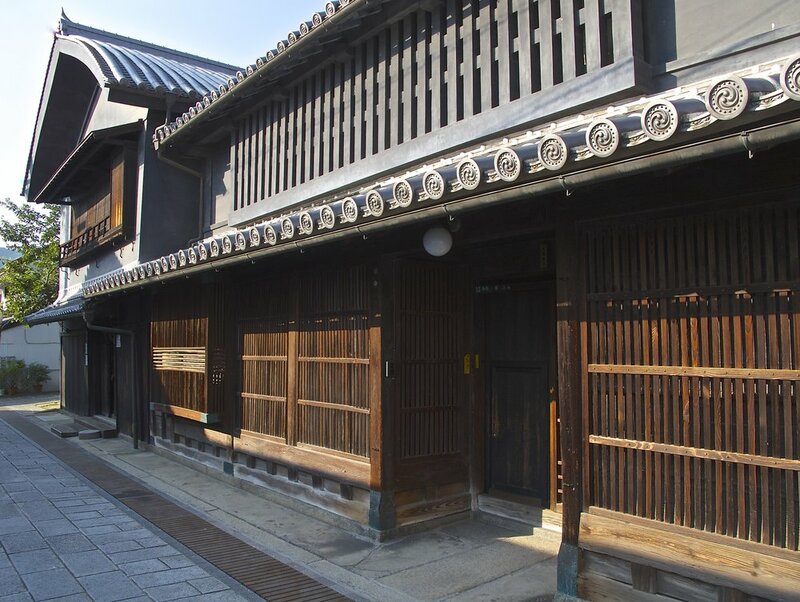 Dating from the late 1600s, the Ose House is one of the oldest warehouse-residences in Takehara. Sporting an attractively massive roof over its warehouse on the left, the residence on the right is a refined network of rooms and courtyard gardens. Although the residence is not open to the public, an artist working in wood opens his studio in the warehouse Fridays to Sundays from 11:00 to 16:30. Located on the main street of the historic district, the Matsuzaka House on the left was built between 1818-1830 by a family that made its money building and maintaining Takehara's clay-pan salt fields. 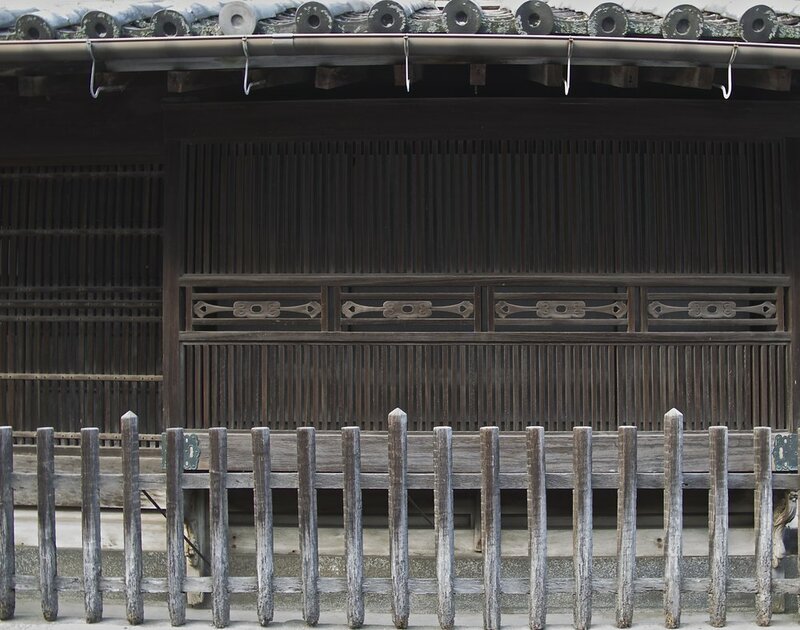 Its distinctive Teri-muku style roof and elaborate lattice-work on the front of the house were the main ways merchants could display their wealth during the Edo era. The house is open to the public from 9:00 to 17:00 (last entrance at 16:30) Tuesday through Sunday except for holidays. Admission is ¥200. In the late 19th century, Takehara added sake brewing to its food-making portfolio, becoming a leading maker of refined ginjo and daiginjo sakes. With the rise of the merchant class at the end of the Edo era, pleasure and entertainment replaced the old samurai culture, and sake became Japan’s new lifeblood. But it wasn't until 1888 when a method was invented to make a good-tasting sake using soft water (until then most sake was made with hard water) by Miura Senzaburo in the neighboring village of Akitsu that Takehara's merchants could take advantage of the town's pure and delicious well water to make sake. At one time, there were about twenty sake brewers in Takehara. Today only three remain, but each is a well-known brand: "Ryusei" by the Fujii Sake Brewery, "Seikyo" by the Nakao Sake Brewery, and the eponymous "Taketsuru." When Japan developed an interest in foreign foods in the 20th century, the Taketsuru family sent their son Masataka to Scotland in 1922 to learn the art of making whiskey. Upon his return with his Scottish wife Rita, he launched the business that would become Nikka Whiskey, today one of Japan's leading whiskey makers. In 2015, the company was the winner of the World’s Best Blended Malt Whiskey award for its Nikka Whisky Taketsuru Pure Malt 17 Years—a rich and robust yet creamy tasting whiskey very much in the tradition of Seto Inland Sea flavors. Established in 1733, Taketsuru is the oldest sake brewery in Takehara. You can trace its success over the centuries by the increasing number of roofs of its buildings along the main street of the town's historic district. Takehara's salt fields are now gone, having been replaced by shipbuilding yards in 1960, an initiative led by another son of a local sake brewing family, Hatoya Ikeda, when he was Japan’s Prime Minister from 1960-1964. Shipbuilding and repair replaced the town's enden salt-making business, which could not compete with the new technology adopted elsewhere of using electrical power to extract salt from seawater. 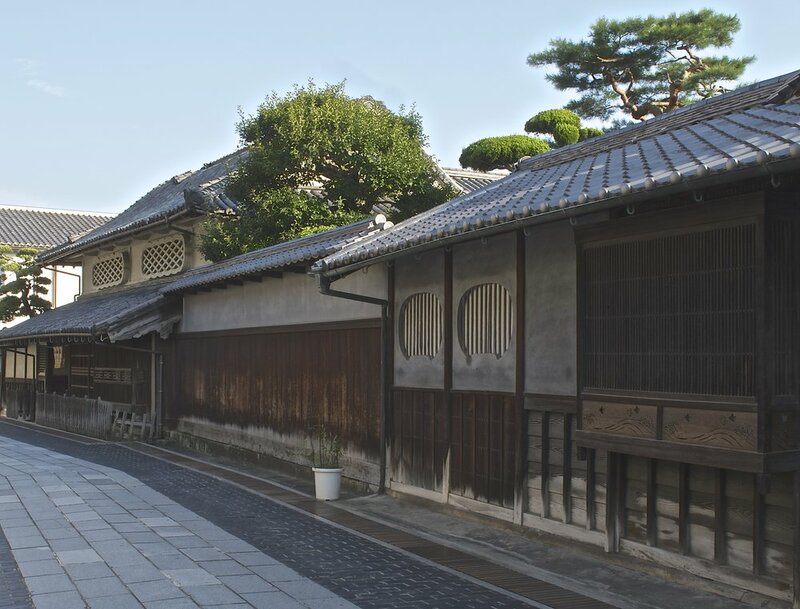 However, Takehara's central historic district remains and is one of only two areas in Hiroshima prefecture designated a Significant Cultural Streetscape by Japan’s Agency of Cultural Affairs. Its well-preserved collection of traditional merchant architecture tells an interesting story. As the lowest class in the highly-structured society of the Edo era, merchants were restricted from displaying their wealth by sumptuary laws. This included rules limiting the width of the street frontage and height of the buildings. To distinguish their warehouse-residences and demonstrate their wealth and status, the merchants competed by the size and design of their tiled roofs (kawara) and the elaborateness and decoration of the lattice-work (koshi) fronting their homes and businesses. Freed of these restrictions following the collapse of the Tokugawa shogunate and old feudal order in 1868, the warehouse-residences of Takehara's merchants became larger and more extravagant during the Meiji era. 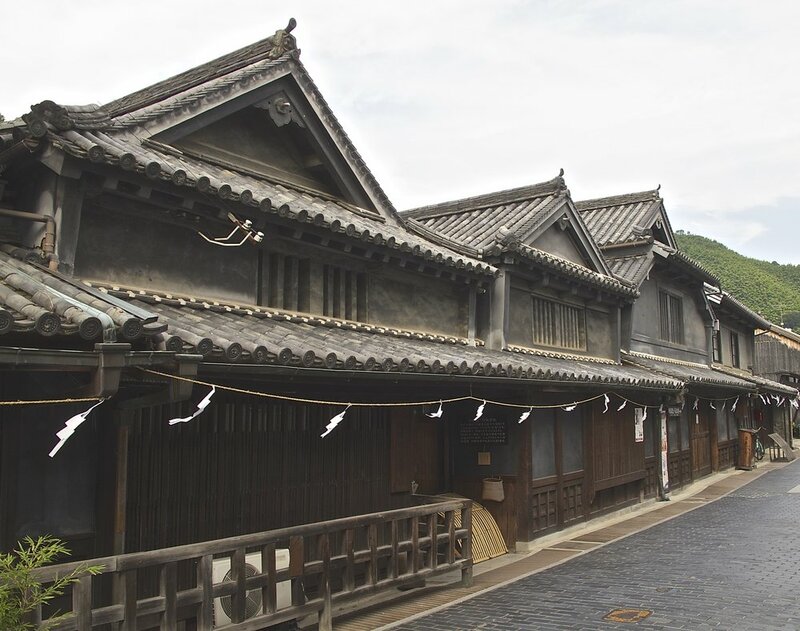 Many of these newer structures were built prominently along Takehara’s main street, and social competition through architectural design and details intensified. The framing of the second-story windows became more decorative and the lattice-work more fanciful. 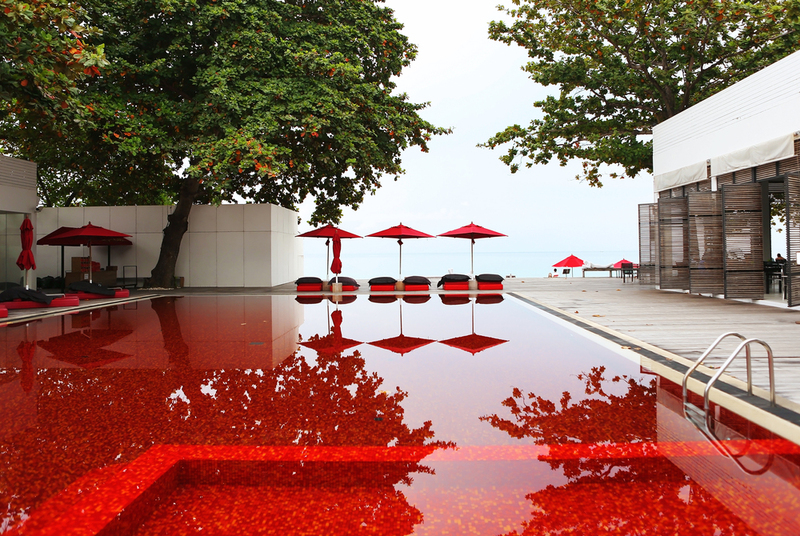 New styles of roof tiles were developed, and the buildings became more colorful. The last great warehouse-residence complex to be constructed in Takehara was the Morikawa House in 1916, which was built on land that had once been the first salt field during the Edo era. Similar to the popularity of the colonial revival style of architecture among the newly-rich in the United States at the same time, the Morikawa house used the Edo architectural style to showcase the family's prominence and wealth, harkening back to an earlier era for status and legitimacy. The house has a massive roof and large courtyard garden, and is composed of structures from Edo-era samurai houses, including the front gate, the main part of the house, and an elegant tea house in the garden, which were moved here from other locations. Other interesting details include the art nouveau transoms in the reception rooms that were added over time. The Morikawa House is open to the public daily 9:00 to 17:00 except for the year-end holiday from December 29 to January 3. Admission is ¥300. The main gate and entrance hall behind it are from an Edo-era samurai house in the town of Fukuyama further east. The five large reception rooms of the house were laid out to create the feeling of a daimyo feudal lord's mansion. The courtyard garden is filled with artifacts from Edo-era gardens including the beautiful "Fuji-an" teahouse in a corner of the garden. Takehara's ever-increasing number of interesting restaurants, hotels, and food shops make it a good over-night destination and base from which to explore the region. Its two ferry boat terminals provide regular service to the outlying islands in the western half of the Seto Inland Sea. The new townscape near the train station, port, and hotels is typical of most 20th century towns with its shopping malls and fast food restaurants. But even this part of town is getting a make-over and the neighborhood around the Showa era (1926-1989) shotengai, or shopping street, leading from the train station to the historic district is acquiring its own charm as well as many new bars and restaurants. These include Bar Roberta, the new home of Horiuchi Shinnosuke who won the grand prize at the 2014 Global Bartending Competition held in Portugal, contemporary French restaurant Hanashu, and fushion Japanese-Taiwanese restaurant Gyoten, as well as traditional food shops specializing in kamaboko fish cakes, mochi rice cakes, and niju-yaki sweet snacks. Most of Takehara's eateries feature the area's well-known foods, including Taoshita wagyu beef, free-range Shin-mei chicken, Hiroshima Bay oysters, Seto Inland Sea red snapper, potatoes from the Yoshina district, and citrus from the islands offshore, in particular the region's famous lemons. The town also has a Michi no Eki, or marketplace, conveniently located at the eastern end of the historic district, where local farmers, fishermen, and food makers bring their products daily to sell. Slices of Taoshita wagyu beef over rice and topped with an soft-boiled egg at the Blue Harbor Restaurant next to Takehara's main ferry boat terminal. A local farmer bringing her produce to Takehara's Michi no Eki as it opens at 9:30 am. Established in 1863, the Fujii Sake Brewery is currently run by the 5th generation of the Fujii family. A small-batch, hand-crafted sake brewer, Fujii produces prize-winning, robust junmai-shu sakes using the traditional brewing method called kimoto-zukuri. A junmai style sake is a pure rice sake that contains no additional distilled alcohol while the kimoto-zukuri method of making sake means the process is done by hand and the yeast mash is cultured by naturally occurring lactic acid bacteria instead of commercially-produced organic compounds. Fujii's "Ryusei" sake won the top prize in Japan's first Refined Sake Competition in 1907, and exactly 100 years later, its "Ryusei, Black Label, Junmai Daiginjo" received the the highest award in the junmai ginjo-shu / junmai daiginjo-shu category at the International Wine Challenge held in London in 2007. The award reflects Fujii's aim to create a highly flavorful and complex sake that goes well with any cuisine. The Fujii Sake Brewery is located in Takehara's historic district. The brewery offers tastings of its sakes and also houses the excellent soba restaurant "Tanizaki." In addition, there is a great gift shop with attractive and reasonably-priced pottery as well as a space called "Sakagura Koryu-kan" that is regularly used for free concerts and other events. In a warehouse built around 1800 on the main street of the historic district, Horikawa specializes in the regional dish okonomi-yaki, a savory pancake cooked on a griddle in front of its guests. Combining the word okonomi, meaning "how you like it," and yaki, or grill, okonomi-yaki are eaten all across Japan in many combinations of ingredients, with the Osaka, Tokyo, and Hiroshima styles being the most common. Horikawa restaurant, known for its Hiroshima-style okonomi-yaki. A Hiroshima okonomi-yaki, also called modan-yaki, is the most robust of the three styles, making it a complete meal. The savory pancake is layered with noodles, a mountain of cabbage, and anything else you like, including other vegetables, fried egg, meats, and seafood. Condiments are a thick sweet sauce and nori seaweed. The 1870s home of a fertilizer merchant now houses Il Traghetto, an Italian restaurant started by Kaoru Shinzaki and his wife when they returned to the area from Tokyo, where he had been an executive at one of Japan's leading printing companies before retiring. In the tradition of Italian casalinga, or country cooking, the restaurant creatively combines the best local ingredients with the Shinzakis' own Japanese flair, including breads made with rice flour and vegetables soups thickened with clotted soy milk. 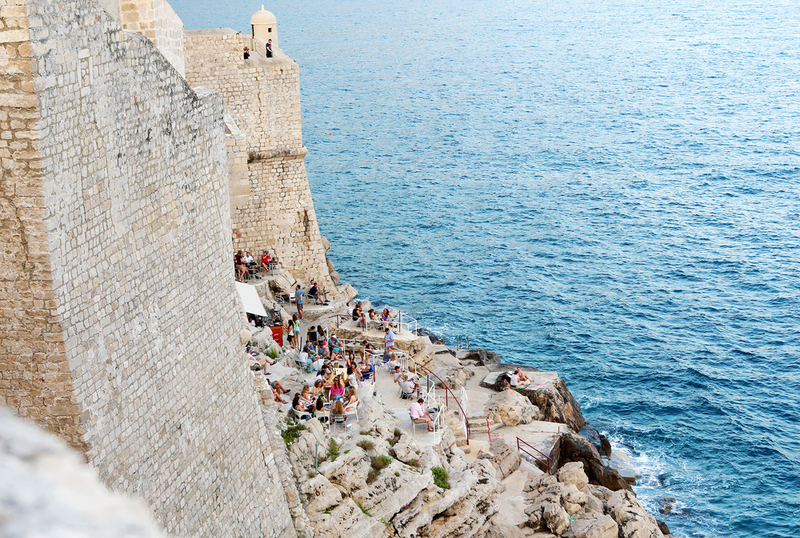 The menu also includes imported Italian cheeses, sausages, and a wide range of excellent, reasonably-priced wines. Il Traghetto is only open for lunch Friday to Sunday, but will cook an evening meal for small groups any night of the week upon request. The four-course lunch, which includes a choice between two daily pasta dishes, is ¥1,800. The entrance to Il Traghetto is in the building on the left. The building to the right was the horse stable. Chef and sommelier Kaoru Shinzaki apprenticed at several restaurants in Tokyo's Ginza and Naples, Italy before opening Il Traghetto. Dug in 1650 to connect the town to the sea, the Honkawa Canal is lined with large warehouse-residences where merchants lived, business was transacted, and salt was stored before being put on lighters to be taken to ships waiting in the bay. Takehara is surprisingly easy to get to. There are hourly flights from Tokyo's Haneda Airport to Hiroshima Airport, which is located in the hills behind Takehara, and from there it's only a 20-minute ride to the town's center. There are shuttle buses to take you from the airport to Takehara's train station; taxis to any location you want to go to in the city. Or you can take the Sanyo Shinkansen bullet train to the city of Mihara and change to the local Kure Line. Coming from Hiroshima you have the option of the local Kure Line that travels along the coast or highway buses that offer a faster one-hour journey to Takehara. There are several boutique hotels near the train station, with the best one being the Green Sky Hotel. Its Harvest Restaurant offers excellent, reasonably-priced dishes featuring local foods, including seafood and Taoshita wagyu beef. Takehara has yet to redevelop one of its historic buildings into an inn, but hopefully this will happen soon. Takehara's history stretches much farther back than the Edo era, and there are a number of interesting sites to see in and around the town. These include a Kofun (250-538 A.D.) burial mound behind the town and Ryusenji Temple. Built in 749, Ryusenji is a simple and serene zen temple on top of Mt. Shirataki, which provides dramatic views of the Seto Inland Sea. 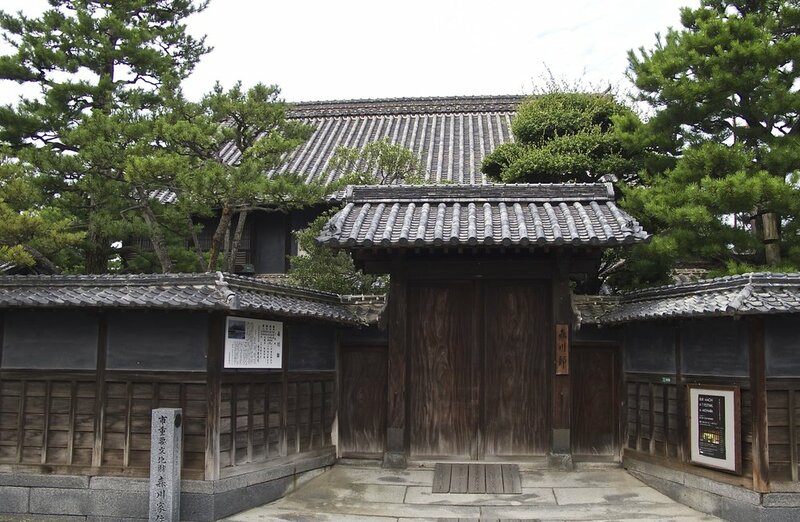 There are also several buildings built by the Kobayakawa family who ruled Takehara until the start of the Edo era as vassals of the Mori feudal clan of western Japan. These include Shoren-ji Temple at the western end of the historic district, built in 1361; Buttsuji Temple, a Buddhist temple complex in a nearby mountain valley built in 1397; and the Kobayakawa Shrine built near the town in 1597. The simple folk-style sanmon, or gate, of Ryusenji Temple. Originally a school for Chinese learning, Shoren-ji exhibits strong Chinese influences, including the formal, stone-lined rectangular pond leading to its massive gate, flying eaves of its roof, and white-washed walls. A bit farther out from town, Buttsuji Temple is exceptionally beautiful in fall and spring. Kobayakawa Shrine is largely a romantic ruin behind the town. Okunoshima, also known as "Rabbit Island" because of the many wild rabbits inhabiting the island, was the location of the Imperial Japanese Army's poison gas factories during WWII. The fascinating ruins of the complex are strewn across the island. Omishima is an idyllic island centered in the Seto Inland Sea. Its main sights are the Oyamazumi Shrine, one of Japan's three most important Shinto shrines, and the Toyo Ito Museum of Architecture. Osaki-kamijima is a remote island producing a wide range of citrus and the delicious Farm Suzuki oysters and other shellfish. Osaki-shimojima is the home of Mitarai, one of the best-preserved and most beautiful small port towns in Japan. Both large ferries (left) and smaller boats (right foreground) take passengers to the outlying islands.